Ok, time for my weekly update. 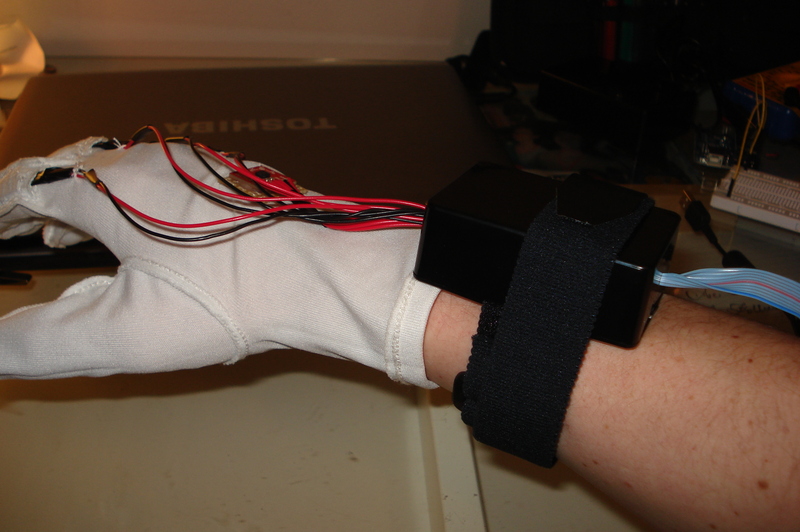 Using a hot glue gun i have now secured the accelerometer to the vera board sewen to the back of the glove. 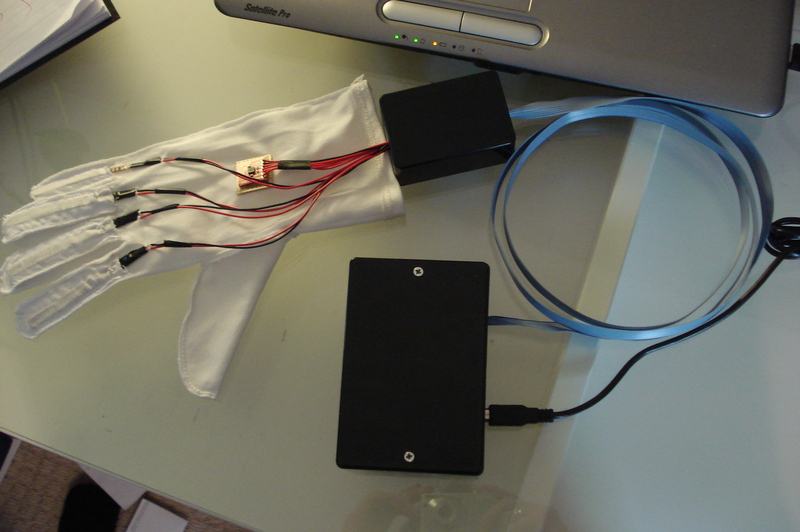 With all the sensors now secured it was time to consider how i was going to get the signal from the glove to the Adruino and then into the computer. 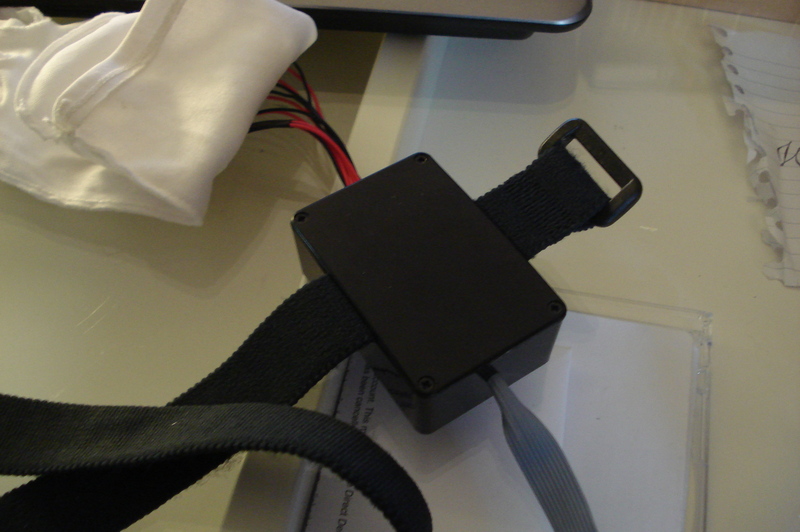 I had previously used a meduim sized black plastic housing straped to the forearm containing the circuit and the arduino but felt this was too bulky and looked for an alternative aproach. 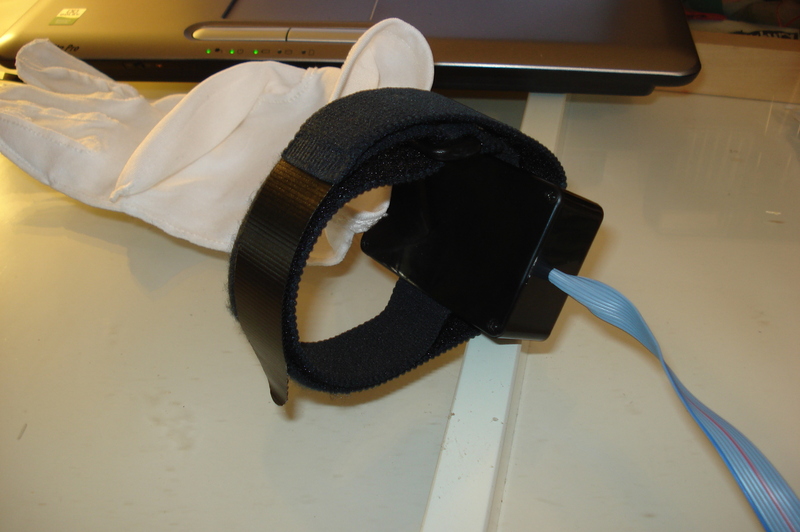 I decided that i would use a smaller plastic housing, still strapped to the forearm, as a means of connecting the multi-core connecting wires i used for the sensors to a long piece of ribbon cable that would then be connected to the the larger plastic housing containing the circuit and the arduino. Below is a picture of how this will look. 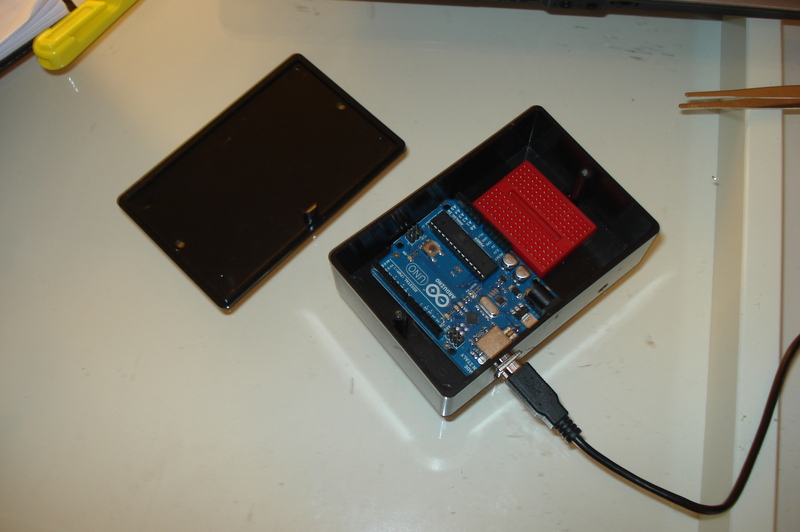 Below is a picture showing the connections inside the small housing. 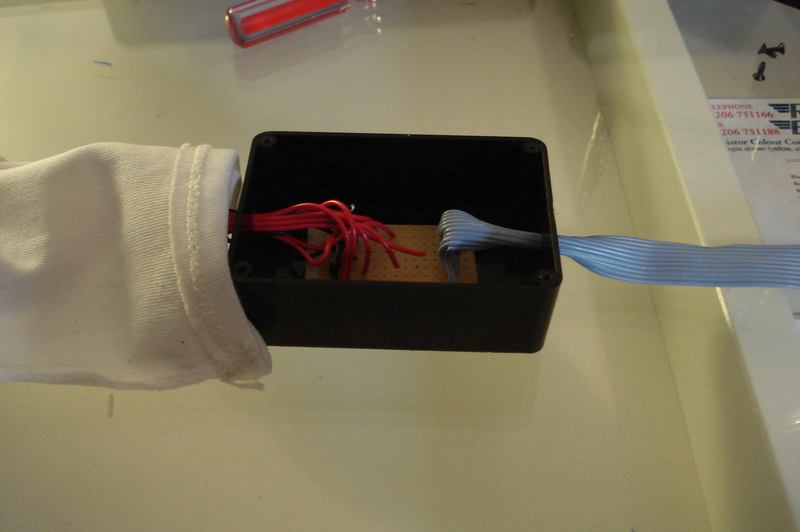 The vera board will eventually be glued to the plastic box itself and the cables will have a cable ties attached inside the box to reduce pull on the soldering. next was to attach the velco strap to the housing to support this on the forearm.